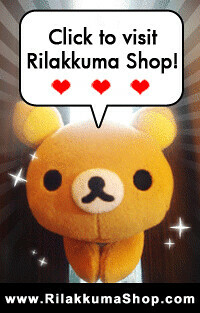 Finally, Rilakkuma Shop has it's own blog! It's been a wild run for us since the start till now, fortunately we have the support from all of you. Thank you for the supporting Rilakkuma Shop. Thank you for responding to us, giving us feedback. It keeps us motivated and feeling all the hard work are worthwhile. We hope to keep your suggestions and comments coming. With the launch of our blog, we hope to bring you more Rilakkuma related news, updates on the latest San-X products and if possible, we would like to look for collaborators whom we might be able to work with to create quality contents for all Rilakkuma lovers. If you do know of such person, do recommend to us! Meanwhile, we hope you will enjoy your stay with us!